In Blarney, Cork, an old millworker's cottage guards its secrets. In 1921, a mother, father and their two young children disappeared from this house. Now their mummified bodies have been discovered under the floorboards. 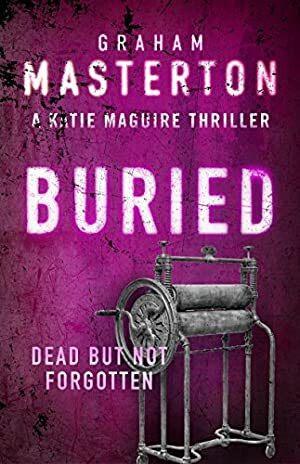 As DS Katie Maguire investigates a ninety-five-year-old murder, the flames of old family rivalries flare up once more... and Katie is caught in the crossfire. We started tracking this book on June 13, 2015. The price of this book has changed 72 times in the past 1,405 days. The current price of this book is £2.80 last checked 8 hours ago. The lowest price to date was £0.99 last reached on July 31, 2018. This book has been £0.99 10 times since we started tracking it. The highest price to date was £7.99 last reached on September 28, 2015. This book has been £7.99 2 times since we started tracking it. We last verified the price of this book about 8 hours ago. At that time, the price was £2.80. This price is subject to change. The price displayed on the Amazon.co.uk website at the time of purchase is the price you will pay for this book. Please confirm the price before making any purchases.